If you collect Funko POP! 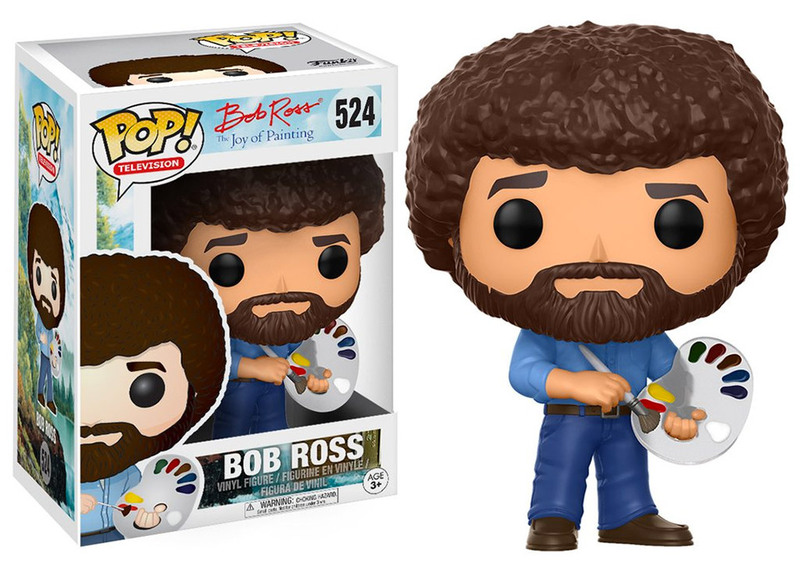 figures you will want to get your hands on this officially-licensed Bob Ross version that the company is releasing this August. Add him to your collection and he can paint happy little trees for your other figures. I’m sure Deadpool and all of your other POP!s would love a lesson in painting. The soft-spoken host of The Joy of Painting deserves this tribute, and he has now been immortalized in big head form and he looks just as calm and happy with that big head, and 1970s perma-perm. You can pre-order him over at Entertainment Earth now for just $10.99(USD). It’s just too bad that he doesn’t come with a mini version of one of his paintings and a tiny easel.